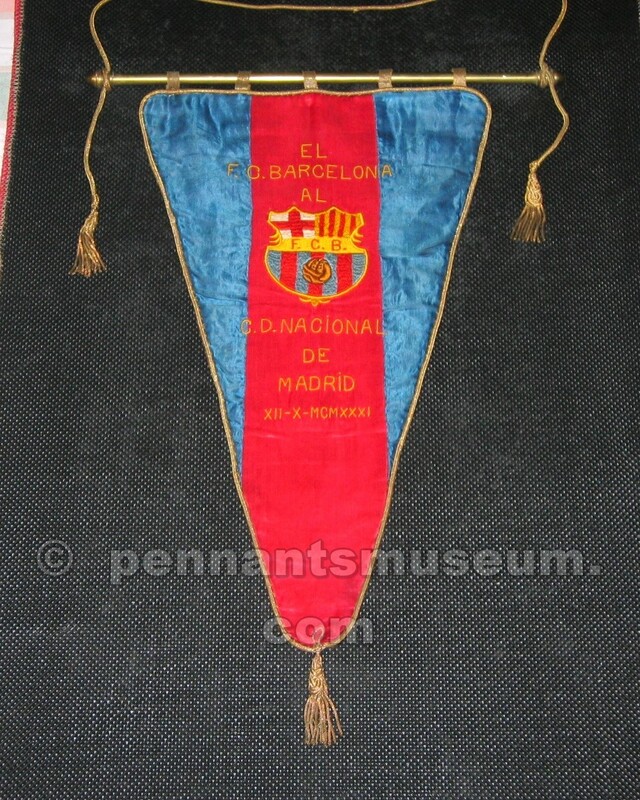 Extraordinary pennant of the match Barcelona vs CD Nacional Madrid played in 1931. 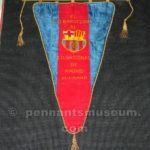 It has a brass heavy bar with golden tags and gold thread cord. Unusual kind for the Catalan team with two stripes in blue and only one in red.